Simplex mechanical pushbutton locks offer a convenient way to control access between public and private areas. There are no keys or cards to manage, no computers to program, no batteries to replace, and combinations can be changed in seconds without removing the lock from the door. The Simplex 470 Series mechanical pushbutton locks provides exterior access by combination. Unican Kaba Ilco Simplex is the leader in top of the line security solutions that presents industrial strength combination lock with high quality security products for over 100 years now. 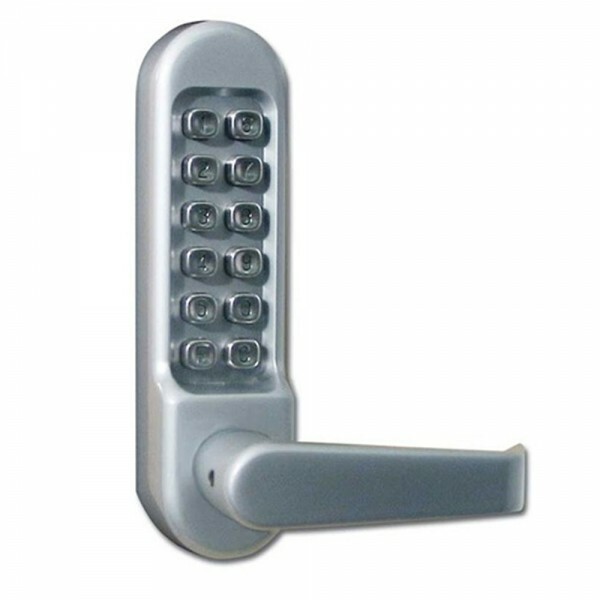 For a security lock, the highly weather resistant Simplex LD470 Series earns an impressive Grade 1 rating from ANSI (American National Standards Institute) - this rating is the highest one they give out for quality. it grants entry upon successful validation of a 1 to 5 digit code that you pre-program into the lock.